From a Patch article I published on Friday September 2, 2011. Waves from a storm that originated off of Antarctica have pounded Southern California beaches since Wednesday resulting in at least one drowning in Orange County and resulting in broken surfboards up and down the coast and epic rides for the region’s best surfers. Beaches that saw larger than usual surf with sets up between 8-10 feet included Imperial Beach, Coronado, La Jolla, Solana Beach, Oceanside, Trestles, Huntington Beach, and Newport Beach among others. “Yesterday, one reef in La Jolla was breaking with eight wave sets and was at least triple overhead,” said marine biologist and surfer David Kacev. 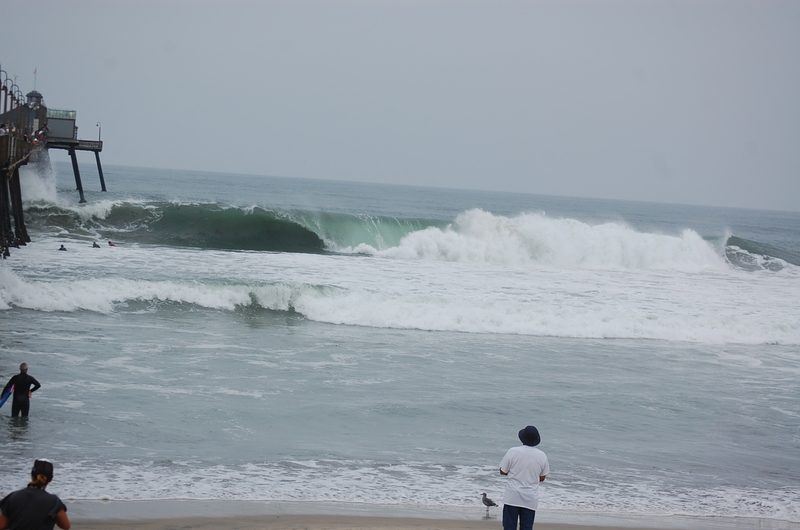 According to Surfline, the size of the sets breaking at Newport Beach’s infamous Wedge, were between 15-20’ yesterday. Lifeguards from Imperial Beach to Zuma are patrolling beaches to make sure inexperienced surfers and swimmers stay out of the water and out of trouble. The drowning victim, Jowayne Binford of Long Beach, was an inexperienced ocean swimmer according to his mother, Gail Binford, in an interview with KABC-7. Sean Collins at work. Photo courtesy of Surfline. Collins was the first person to accurately forecast swells on a regular basis in the ’70s and early ’80s. 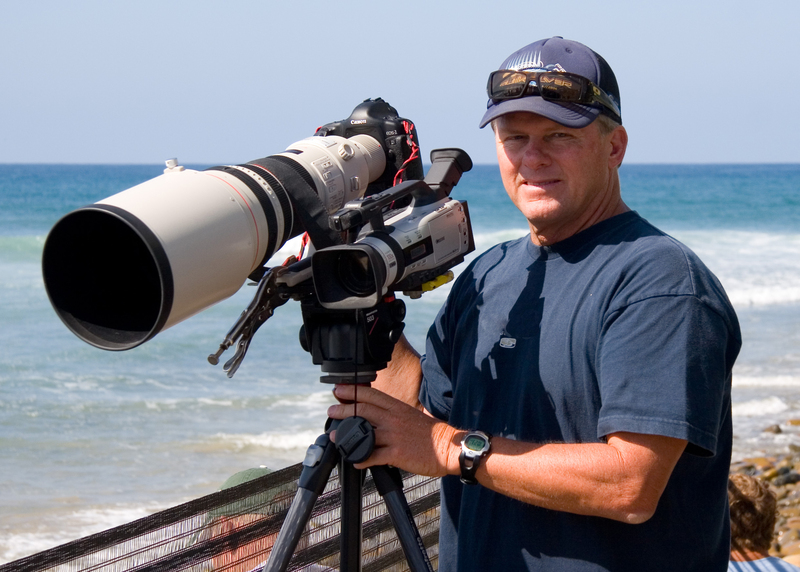 He pioneered and created the first ongoing surf forecast available to the surfing public via Surfline and 976-SURF in 1985. From his coastal headquarters in Huntington Beach, Collins and his Surfline team provide surf-related weather and forecasting services to lifeguard agencies in California, the Coast Guard, US Navy Seals, National Weather Service, and surf companies. Surfer Magazine named Sean one of the “25 Most Influential Surfers of the Century”. In 2008, he was inducted to the Surfer’s Hall of Fame in Huntington Beach. 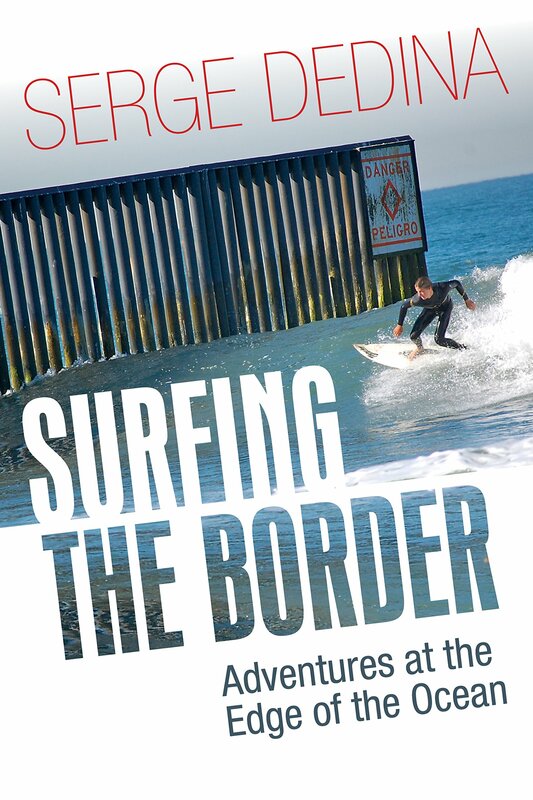 He is the author of California Surf Guide: The Secrets to Finding the Best Waves. Sean acted as Chief Forecaster for last week’s Billabong Pro Tahiti surf contest at Teahupoo, in which the same swell that is now pounding Southern California resulted in 40-foot waves and closed harbors throughout the island chain. When I caught up with Sean, he was on his way to New York City to act as Chief Forecaster for the $1 million Quiksilver Pro New York surf contest, that will be held on Long Beach, New York from September 4-15. Q. When was the last time we had a southern hemisphere swell this big hit California. A. Actually this is the biggest out of the southwest for quite a while, I think that last one like this was April 2004. The swell in July 2009 that hit the US Open of Surfing in Huntington Beach was actually a little bigger, but not as long period. Depending on the swell period some areas will focus the swell energy better like on Wednesday. The 20-22” periods were really focusing into some areas but completely missing others. Once the period dropped on Thursday most other areas began to see the swell. Q. It seems like the swell hit earlier than forecast and the estimate of its duration is now longer than originally forecast? A. Only because the spots that focus the longer periods picked up earlier. If we forecasted for that, most spots and surfers would have said we were wrong. We did say that the swell would be filling in Wednesday afternoon. Longer periods travel faster than shorter periods so that is why the long period spots flared up first. Longer swell periods also help the swell to wrap into San Diego County where spots need more southwest in the direction, or longer periods to feel the ocean floor to wrap in. Q. Is it hard to predict the surf that is generated from southern hemisphere storms? A. It’s the most difficult because there is so little data in the middle of the ocean to validate the models, and the models are off all the time. A difference of 5 knots of wind speed between 40 knots to 45 knots in a storm off New Zealand will result in a 24-hour difference in arrival time here in California and a difference of 4-feet in surf face height. Q. These large storms off of Antarctica that produce massive swells are pretty unique. Generally how often receive southern hemisphere swells? A. On the long term average we receive about 50 swells a year from storms in the Southern Hemisphere. Most of those swells create surf of 3 feet on the wave face, 40% of those swells are over 5 feet, 10% are over 8 feet. This swell is obviously in the top 10% and we usually receive about 5 major overhead southern hemisphere swells a year. But this swell is definitely at the top of the best swells and will probably be the largest southern hemisphere swell we’ve received in the past few years since the July 2009 swell. Again, most of San Diego County is not exposed to all of the southerly directions like other areas in Southern California so you may not see as many there. Q. When large sets hit one location are they hitting different areas around the same time? A. 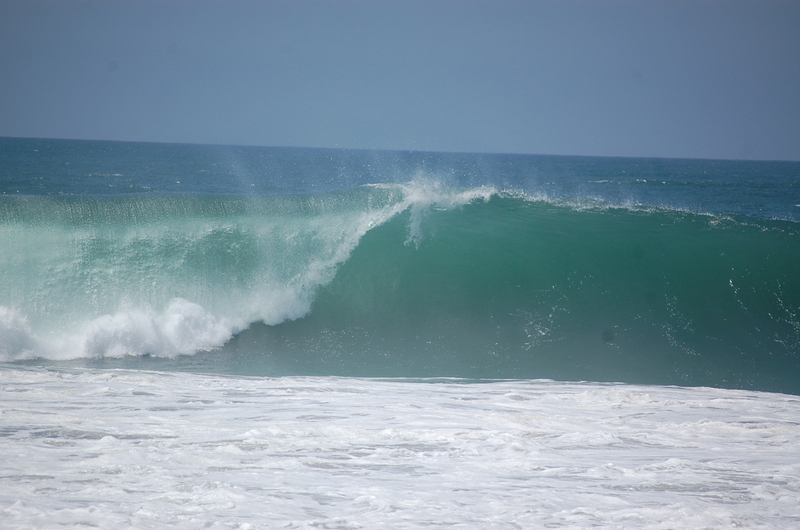 Powerful long crested swell like this one do have sets that arrive at the same time along a few miles of beach. And the swell energy travels in these big patches through the ocean with big lulls in between. Q. 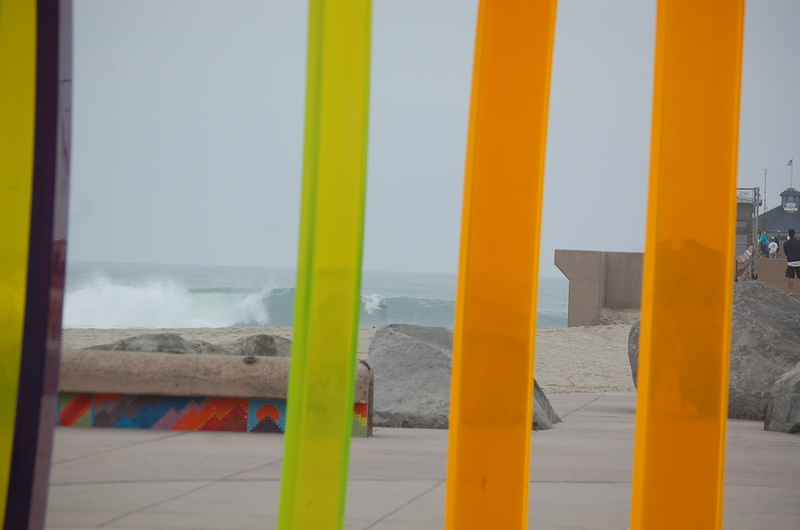 Besides the Wedge in Newport Beach, what locations in Southern California Cal received the brunt of the swell? A. La Jolla wrapped in it great. And then everywhere from Oceanside up to Huntington Pier was solid. North of there was shadowed behind the Islands (Catalina and Channel Islands). The LA County South Bay around El Porto, north to Ventura was also very solid. Malibu was epic Thursday but saw very little of the swell on Wednesday, due to the swell period and island shadowing issues. Family Times, Simple & Scrumptious in the Kitchen and On my Soapbox. What a job! Great pics!